Steem hit high $6 mark in it’s strongest run yet. 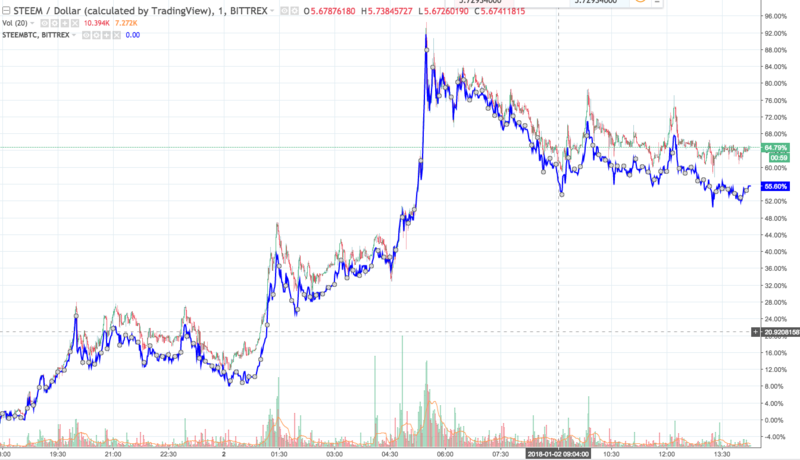 The crypto is showing high %gains against both the USD and BTC (in blue) and late afternoon GMT is showing support around the $5.8 mark after hitting $6.40 on Poloniex. The currency has climbed from 40th and currently sits 29th in the Crypto Market Cap list of Cryptocurrencies by market capitalization holding a value of nearly $1.5billion.